Below, you will find a new chapter of our guide to connecting Magento 2 to Oracle NetSuite ERP. 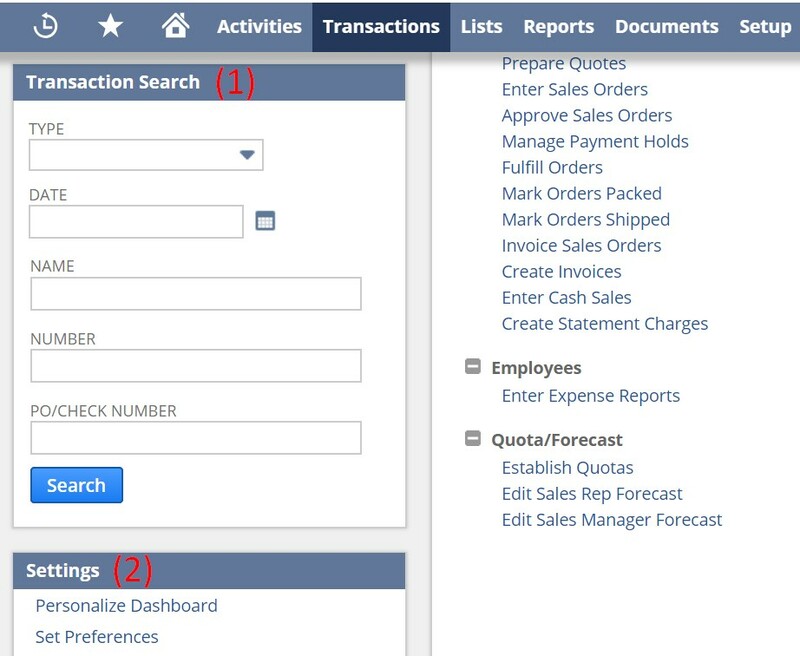 Being a part of the ‘Exploring Magento 2 Oracle NetSuite ERP Integration’ series, this article sheds light on the Transactions section of the ERP’s admin as well as describes how to synchronize the corresponding data with your e-commerce website. 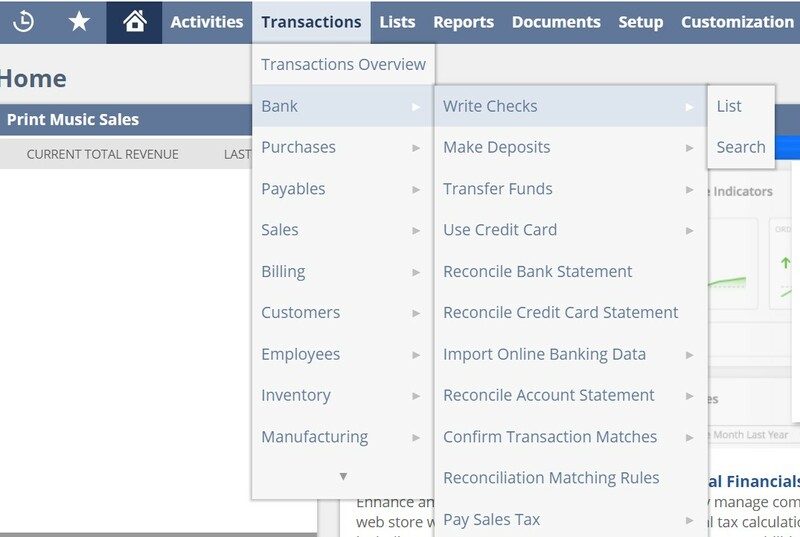 Scroll down, and you will see how the Transactions section of Oracle NetSuite looks. After exploring the backend, we will teach you how to synchronize the flow of transactions between Magento 2 and Oracle NetSuite ERP. 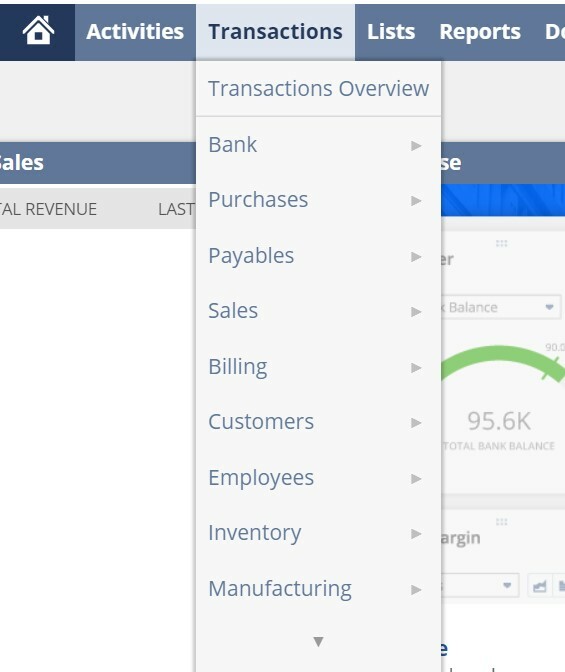 Hover over the Transactions tab, and you will see a large dropdown with Transactions Overview and multiple transactions divided into groups: Bank, Purchases, Payables, Sales, Billing, Customers, Employees, Inventory, Manufacturing, Quotas/Forecast, Financial, and management. Let’s explore Transactions Overview first. When on the page, you can switch to one of 4 available layout options (1), personalize the page content (2), or create a custom tab (3). As for the available tabs, you can view and edit Recent Transactions (1), use custom search (2), or view all transactions divided into groups (3). Note that NetSuite lets you expand or collapse all groups. Scroll down to see two more tabs on the left (depending on your layout, their position can be changed): Transaction Search (1) and Settings (2). Use the first one to find any transactions as fast as possible. The second tab lets you proceed to the more in-depth configuration of the Transactions tab. Let’s explore the Bank section of the Transactions tab. It lets you write checks, make deposits, transfer funds, reconcile a bank statement, reconcile credit card statement, import online banking data, reconcile account statement, confirm transaction matches, manage reconciliation matching rules, as well as pay sales tax. As you can see, some options introduce additional opportunities. For instance, Write Checks lets you proceed to List or Search. If you click ‘Write Checks,’ the system redirects you to a section where a new check can be added. The List section contains a grid with all checks. Note that it is possible to apply filters and customize the page view. Besides, you can print the selection of records as well as export them via CSV, Excel, or PDF. As for the Search page, it is quite complex. You have two main tabs here: Criteria and Results. In Results, you can apply various sorting options as well as manage different columns. Note that other elements of the Bank section of the Transactions tab are almost identical: you can add new transactions, view the existing ones, or apply advanced search. Furthermore, the same logic is used in other interface elements of the Transactions tab. Oracle NetSuite divides all transactions into multiple groups letting you find and manage particular records in the most user-friendly way. If you want to know more about other elements of the NetSuite Transactions tab, feel free to explore them since you are already familiar with the logic behind them. Now, we’d like to draw your attention to how to integrate Magento 2 with Oracle NetSuite and transfer transactions between the two systems. To synchronize the exchange of transactions between Magento 2 and Oracle NetSuite, use the Improved Import & Export extension. While the default tools are useless in this situation, our module lets you leverage APIs connections to establish a data flow between the two platforms. Let’s explore how to do that! 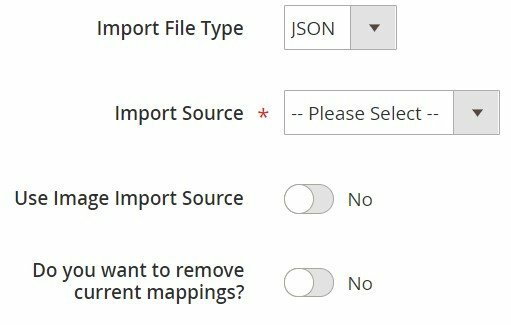 Go to your Magento 2 admin and create a new import job under System -> Improved Import / Export -> Import Jobs. Next, go to Import Source and choose an import file type there. It can be either XML or JSON. As for an import source, you can rely on REST or SOAP. Configure other parameters and validate the data file. 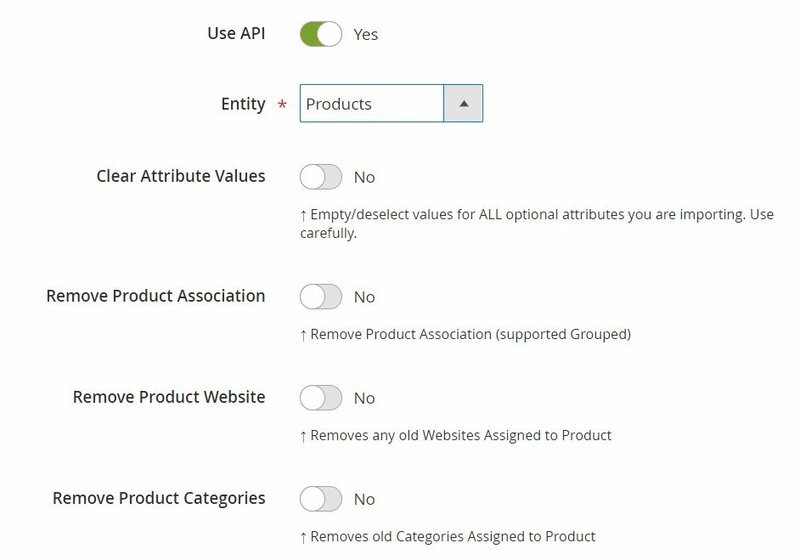 Apply mapping to match attributes used in NetSuite to the corresponding ones suitable for Magento 2 to enable the import of transactions. Create a similar export job to provide NetSuite with the Magento 2 data. Don’t forget to create import/export jobs for transactions types necessary for the integration. For further information, contact our support here: Firebear Help Center. We will help you with the Magento 2 Oracle NetSuite integration and the transfer of all transactions between the two systems. To describe the Magento 2 Oracle NetSuite ERP integration in more detail, we’d like to draw your attention to the features of our module that simplify the procedure. With the Improved Import & Export extension, you can completely revamp the default import and export functionality of the platform avoiding many basic inconveniences and enabling possibilities that are not available by default. The module lets you transfer any information between Oracle NetSuite ERP and Magento 2 including Transactions. Also, note that Improved Import & Export enables you to match different external attributes and their values to ones used internally, supports multiple file formats for other integrations, as well as transfers all entities. Automated data transfers are a mandatory requirement when you want to synchronize Magento 2 with Oracle NetSuite ERP. With the Improved Import & Export extension, you can quickly achieve this goal due to schedules and event-based triggers. With schedules, you get the most intuitive and straightforward way of automation which can be applied to transfers of NetSuite Transactions between Magento 2 and Oracle. 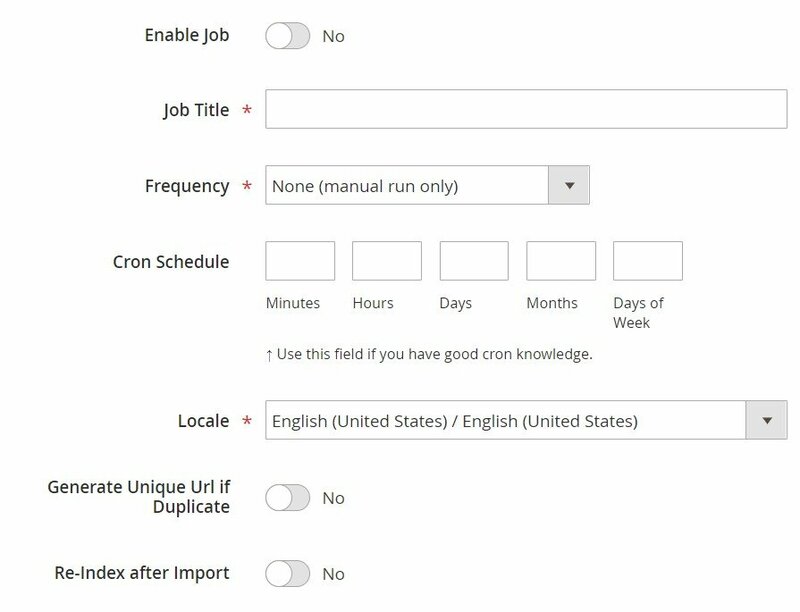 Being based on cron, schedules allow creating fully independent import and export jobs that connect your e-commerce store to Oracle NetSuite ERP. Thus, transferring Transactions data to Oracle NetSuite ERP and importing the corresponding output back can be based on both specific events or selected time intervals. Follow the link below for further information: How to Run Magento 2 Import or Export After Specific System Event or Process. If data from Oracle NetSuite ERP contains third-party attributes, you can easily map them to ones used in Magento 2 to automate the transfer of Transactions. If you don’t do that, you won’t import any data to Magento 2 due to the inability to work with external attributes. Use our module to solve the problem of different attribute standards without headaches and synchronize the transfer of Transactions data between Magento 2 and Oracle NetSuite ERP with mapping presets– predefined mapping schemes that eliminate manual attributes matching most intuitively. 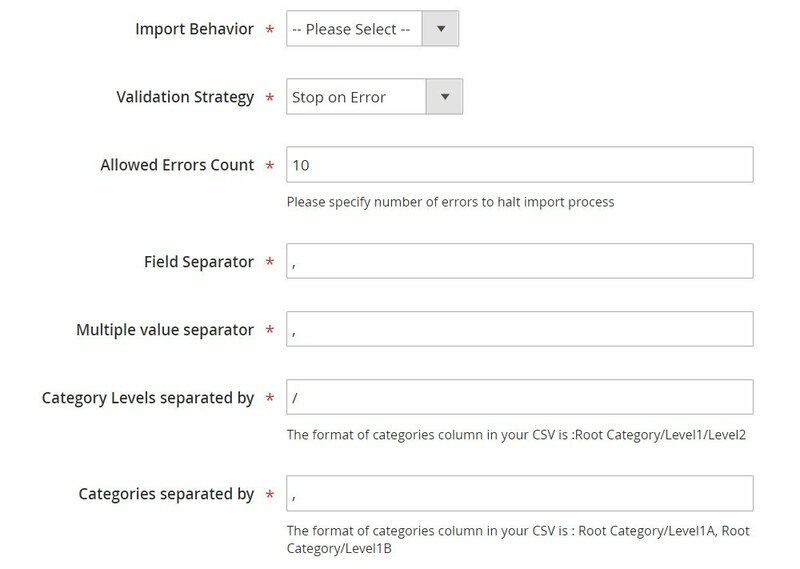 As for the “Default Value” column, it plays an essential role in attributes matching when you transfer any data from Oracle NetSuite ERP including Transactions. The column is designed for values, which are provided to all items of a corresponding attribute automatically, replacing the old ones. Export mapping is possible as well when you transfer Transactions from Magento 2 to Oracle NetSuite. If you want to provide Oracle with data modified according to specific requirements, map native Magento 2 designations to them creating entirely suitable output. Attribute values can also be mapped, when you transfer data between Magento 2 and Oracle NetSuite. The Improved Import & Export Magento 2 extension offers a separate interface that provides the ability to simplify the Magento 2 Oracle NetSuite ERP integration and the synchronization of Transactions. With our module, external designations will no longer interrupt the transfer. It is only necessary to choose an external value from Oracle NetSuite ERP and specify the internal one from Magento 2 as a replacement. Repeat the procedure until all third-party designations are mapped to ones utilized in the new one. Note that the created mapping schemes will be saved and applied for further updates automatically. You can find more details in this article: Attribute Values Mapping. Combine them and create conditions to increase the efficiency of the applied changes. For further information, follow this link: How to Modify Attribute Values During Import and Export in Magento 2. It is even possible to create new categories in the import job. Choose a parent category and specify a new one to enable the extension to link products to it during the import. You can find more information about this feature here: Category Mapping. As for the extended connectivity options, they improve all data transfers between your e-commerce website and external systems as well as enable the Magento 2 Oracle NetSuite ERP integration. Improved Import & Export provides the ability to leverage new file formats and two alternative ways of transferring data between the systems. Thus, it makes the transfer of Transactions between Magento 2 and Oracle NetSuite possible. Besides, our extension can move all Magento 2 entities and NetSuite data, while the default Magento are useless when it comes to the synchronization with the ERP. Our plugin supports data transfer on the basis of CSV, XML, JSON, ODS, and Excel files. Note that they can be compressed! The Improved Import & Export knows how to unpack them automatically while the default tools work with uncompressed CSVs only! As a result, you can eliminate multiple procedures including the necessity to unpack archives and convert data into CSV. Alternative ways of import and export are not represented in Magento 2. And since you can work with CSV files only, it is not possible to Magento 2 with NetSuite. Consequently, transferring Transactions becomes a quite problematic procedure. Luckily, Improved Import & Export supports direct API connections, and intermediary services enable multiple new possibilities. 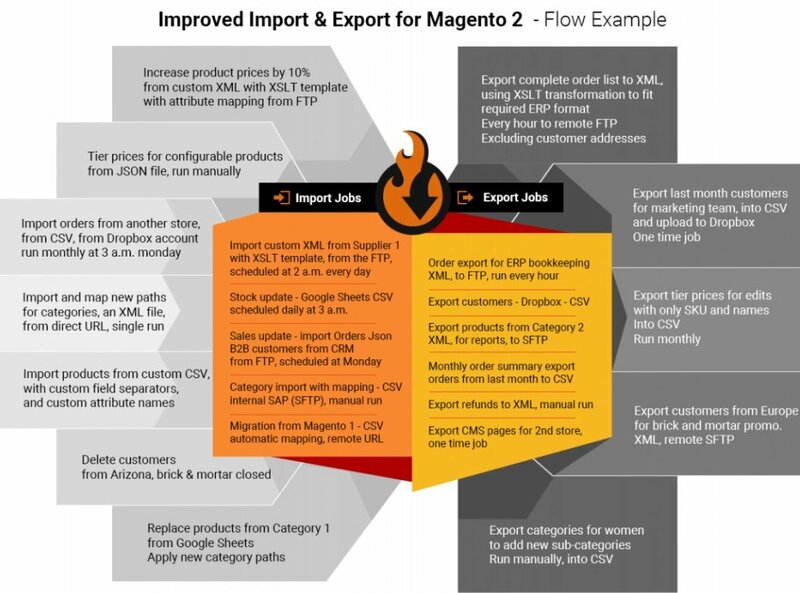 To connect Magento 2 to Oracle NetSuite ERP and import/export Transactions data, the Improved Import & Export extension provides the ability to leverage APIs. Our module supports REST, SOAP, and GraphQL. All API connections are fully compatible with the extension’s features, so you can streamline mapping, schedules, and attributes on the fly, entirely automating the integration. Our second exploration of Oracle NetSuite (read the first one here) shows that it is a vast system but not as complicated as you might have thought, visiting it for the first time. Don’t let its powerful features and interfaces delude you: the system is designed with end users in mind so that you can master it without any serious efforts.